PAXnews.com has emerged quickly as a market leader in Canadian travel trade news. The newsletter features unparalleled coverage of the latest industry information, updates and events. Its image-filled articles cover industry happenings, product launches and news conferences. In addition, PAXnews.com offers its readers exclusive in-depth profiles and interviews with Canada’s travel trade leaders, meaning you’ll always be kept informed of any promotions, appointments and industry news. In order to achieve maximum impact for our advertisers and ensure the trade is kept current, PAXnews.com distributes a daily newsletter consolidating the day’s top stories, announcements and events. 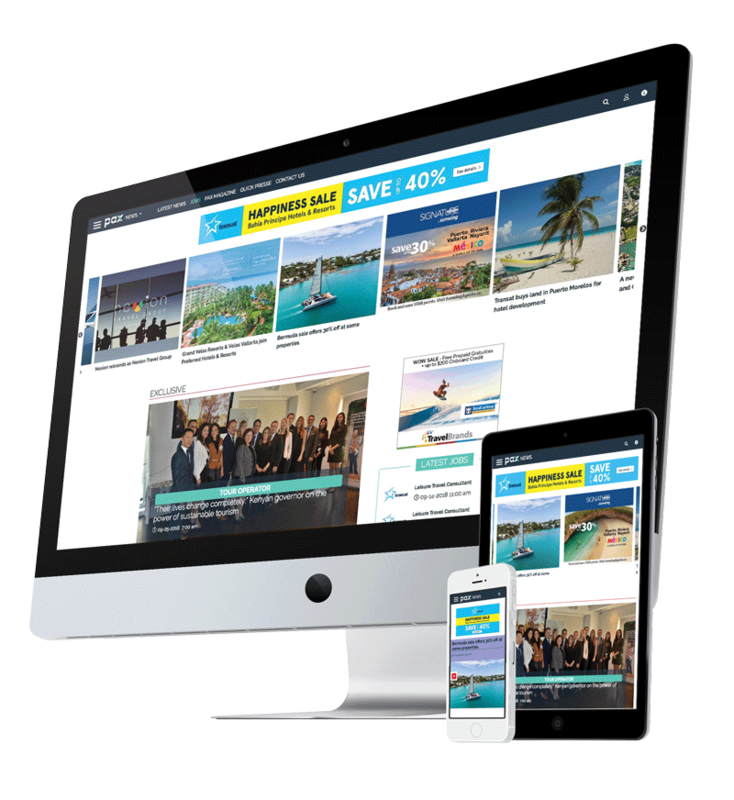 Published and distributed by e-mail, daily M-F to 21,580 travel professionals, this allows travel agents to be kept informed when it comes to travel deals, promos, loyalty programs, webinars and contests. Additionally, special editions with breaking news and events are sent on and ad-hoc basis to all 21,580 subscribers.